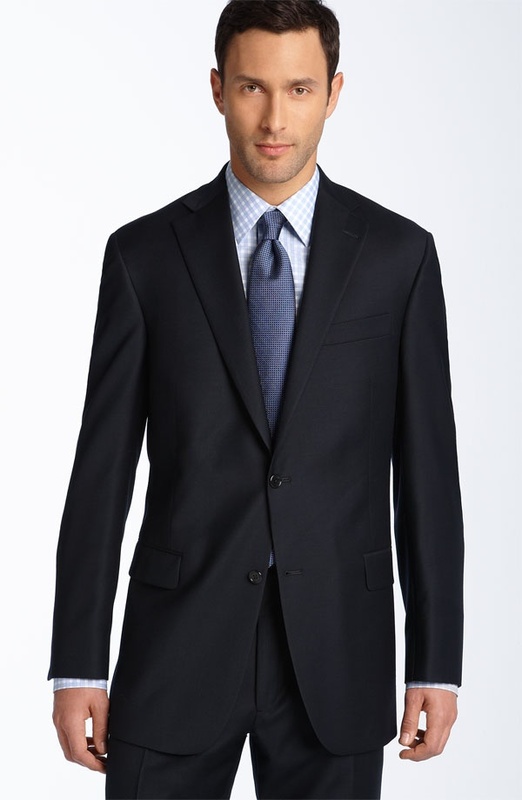 Hart Schaffner Marx delivers another quality suit with this navy worsted wool suit. Pairing a notched-lapel two-button jacket with pleated trousers, the deep hued suit is a smart choice for dressy occasions. Featuring a classic fit that adds to its versatility, the suit is available online now through Nordstrom.